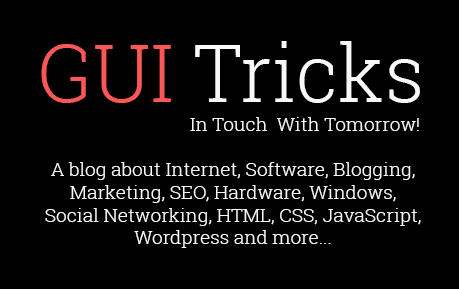 How To Play Games On Facebook Without Anyone Knowing | GUI Tricks - In Touch With Tomorrow! How To Play Games On Facebook Without Anyone Knowing - GUI Tricks - In Touch With Tomorrow! Facebook! One of the spreading social network among all. Almost, 1.44 billion monthly active users are connected and getting benefits from it. When facebook was launched in February 2004, then there were no any applications and games on it. But now lots of games and applications has been developed on facebook and users play them and enjoy too. From recent years, some games like 8 ball pool, Candy Crush, Farm Hill etc are very popular games on Facebook. A Majority of Facebook users is playing these games most. Some users play games but they don't want to show their profile and detail about them because of any problem like security issue etc. So, if you're one of them who play games on facebook but don't wanna show profile then this article is for you. Here, I shared a simple way to hide your profile during playing games on Facebook. So, let's start how you can play games or apps on Facebook without showing your profile. Here are the steps to hide your profile during gaming on Facebook. Steps are very simple nad no spam is included. Just follow the steps perfectly and enjoy your gaming on Facebook as an anonymous. First you need to login Facebook account and then go to the 'Setting'. Once the setting has been opened then go to the 'Apps' which will definitely listed at left side. After this action, now scroll down and find 'Always Play Anonymously' box. When you done then click on 'Edit' like below image. When you'll click on 'Edit' then a popup will open. Here, click on 'Turn On Play Anonymously'. Now you have done! You can play as an anonymous person. But if you want to play as a normal person then follow above procedure again. In last step, when you'll click on 'Edit' then you have to click on 'Turn Off Play Anonymously'. That's it. This was a simple way, from which you can easily play and enjoy games or apps as an anonymous person. Procedure is very simple and a proven helpful for all users. But if have any question or any problem related to this article then share with me via comment below. If you think, it's helpful for every facebook user then don't forget to share it. May be, the option has been replaced or removed.